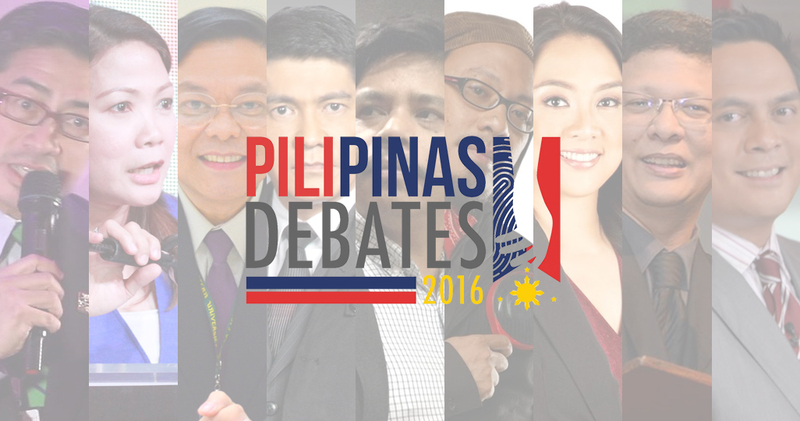 MNP Poll: Who should moderate the TV5 PiliPinas 2016 Debate? The five leading presidential candidates got their first chance to take on each other at Sunday's GMA-7 PiliPinas debate, the first in a series of debates organized by the Commission on Elections in partnership with the local TV networks. The two-hour long debate — which turned out to be more of a forum than an actual debate — gave viewers a peek at how the candidates will try to fix our nation's problems, and how they stack up against each other in a competitive setting. For the second round, happening on March 20 at the University of the Philippines Cebu, TV5 will team up with The Philippine Star and BusinessWorld to host a panel-format debate. Key issues to be tackled are the following: disaster preparedness and climate change adaptation, health care, education and fighting corruption. With the second debate just four weeks away, we thought we should ask you this question: Who do you think should be chosen as the TV5 debate moderator? By its nature, the most likely choices are News5 chief Luchi Cruz-Valdes; Aksyon Tonite anchors Ed Lingao and Cheryl Cosim; News5Everywhere's main man Martin Andanar; legal analyst Atty. Mel Sta. Maria; and Aksyon sa Umaga's Erwin Tulfo. Since anything is possible with the MVP Group of companies, we're also adding Political Capital host Atty. Tony Abad as among the choices, as well as the tandem of Kontrabando stars Lourd De Veyra and Bayaw Jun Sabayton. Vote in our MNP Poll below and have a say! We are keeping this poll open just in case you have a particular TV5 talent in mind as debate moderator. Be sure to also join in the conversation on our Facebook page and tweet us @medianewserphil.